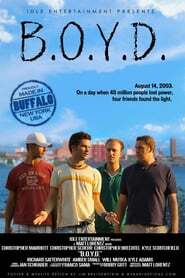 Set against the 2003 northeast blackout, "B.O.Y.D." follows a group of 20-somethings as they embark on a journey with equal parts debauchery and self-discovery. Featuring the sights and sounds of western new york, it is an unforgettable experience that reminds us all what it feels like to be stuck in a rut and how much fun you can have getting out of it.